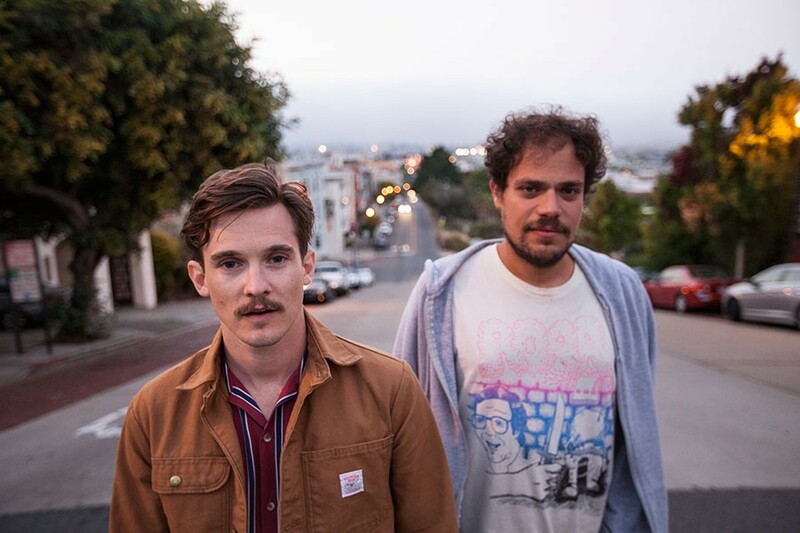 Antarctigo Vespucci write striding, deliberate pop-rock songs about stumbling helplessly through life’s emotional tribulations. They defy everything that a band comprised of the ultimate everyman (Jeff Rosenstock) and a chronically self-deprecating internet weirdo (Chris Farren) should ostensibly sound like. Their music is bombastic, cheery, and instrumentally on-top-of-the-world; despite lyrically wading in the depths of romantic incompetence, crippling anxiety, and unyielding insecurity. In the world of Antarctigo Vespucci, the line “how much lower can I get?” is presented as a stimulating high point. The poignantly indecisive “I wanted to see you / to see if I still wanted to see you” is belted with octave-ascending certainty. Even a dreary track like “Do It Over”—in which Farren sheepishly croons, “I thought my life was gonna change / but this year, this year, this year I stayed painfully the same”—is encased in a sugary melody, peppered with playful 80’s synths. Their new album Love in the Time of Email arrived in October, three years after their last and in the midst of Rosenstock’s booming solo career. It’s a well-rounded 36 minutes of peppy crunch-pop, explosive punk bangers, and some of the moodiest, most outwardly depressing songs either artist has ever recorded on. It’s easily their best work to date. However, like much of 2015’s Leavin’ La Vida Loca, the record feels more like a Chris project than a Jeff project. Remove Rosenstock’s shredding, and songs like “Kimmy,” “White Noise,” and the majestic “Breathless On DVD” fit right into Farren’s rotation of Casio-coated solo material. Farren also sings nearly every line, and the lyrics are clearly pulled from his specific strain of hyper-endearing outpourings. But Antarctigo Vespucci’s live show feels more Jeff than Chris. It’s energized, sweaty, and totally enthralling to watch the band lose themselves in the performance. Farren and Rosenstock’s camaraderie is fully-realized when they’re positioned next to each other on stage; both strapped with guitars and mics, and within close enough proximity to exchange frequent smirks. Their duties in this band are slightly different from their respective solo ventures. Rosenstock isn’t the frontman, so he’s able to step back from the mic and wail on his guitar for entire verses at a time, and then twist forward to holler harmonies whenever he pleases. Farren’s hilariously quirky solo gigs are a pageantry of gags, gimmicks, and tongue-in-cheek theatrics. When he played the Mr. Roboto Project in Pittsburgh back in February, he stepped off-stage and waltzed through the crowd, all the way to the front entrance of the venue where he poked his head out the door—all while continuing the song. When Antarctigo played that venue on Saturday, Farren saved his step into the spotlight for special occasions. The band’s lineup on this tour is a supergroup of Quote Unquote Records-associated musicians. Rosenstock and Farren on guitars, Laura Stevenson on the keys, Bomb The Music Industry!/Jeff Rosenstock bassist John DeDomenici on the four-string, and Gaslight Anthem drummer Benny Horowitz on the kit. Every member of that group inadvertently outdoes the other, and it was wild to see songs that were written by a duo being translated into such a chemical affair. Unlike any of those member’s main gigs, there was no central figure to the performance, but Rosenstock and Farren were given just enough presence to keep things moving via their vision. DeDomenici spent 90% of the show off the side of the stage, strumming away as a quasi-crowdgoer instead of his usual role as Rosenstock’s go-to banter buddy. Stevenson, a fantastic performer in her own right, hung back and held down the integral synth parts without ever revealing her frontperson charisma. Antarctigo Vespucci looked and sounded like a band up there. Their recorded material has all of the same components, but something about their two-man press photos, and the narrative of their cute friendship, doesn’t register the same as it does to see them squeezed onto a stage with their best friends. The gig was great based solely on the merits of the songwriting. Classics like “I’m Giving Up On U2” and “You Don’t Scare Me!” popped. The pocket of fans sandwiched in front of the stage already knew all the Email tracks by heart, so the response never dwindled regardless of what era they pulled from. And the band didn’t need fanfare to sell their audience a great time. So when their tourmates/longtime friends in Katie Ellen marched out of the green room at the beginning of “Breathless On DVD,” holding giant headshots of Farren and Rosenstock, and unleashing a bag of balloons into the room, it felt like a genuine bonus rather than a necessary ingredient. That particular track is not only the best song Farren’s ever penned, it might be one of the best Rosenstock has ever strummed on. For that one, Farren surrendered his guitar and leaped on top of the bass drum, caressing the mic and singing soulfully while gazing down at Rosenstock. As balloons bounced atop the heads of a sold-out crowd—a dream lineup pounding away beside him, and a pack of devotees right there to scream it all back to him—Farren’s line “Why did I crumble?” became ironic beauty in its truest form.